Dorsett Retail has completely re-designed its website with the aim for online transactions to represent between 4 and 7 per cent of total sales. 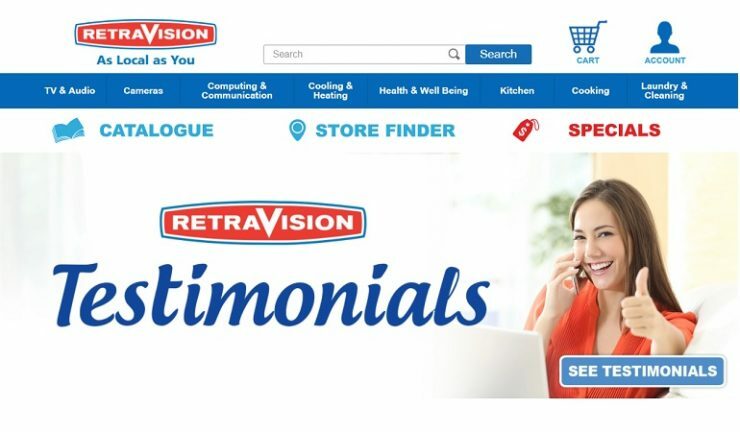 This announcement follows the news that the acquisition of a 22-year licence to exclusively franchise and promote the Retravision brand in Western Australia, South Australia and the Northern Territory. Speaking to Appliance Retailer, Dorsett Retail managing director, David Dorsett-Lynn said, “We sell off our website every day, so it has to be an important window for our business. Once upon a time, the physical window at the front of the store – people would walk past and see the specials and then come in the following day and buy them. “What we have underestimated is that there are now 8 million windows to our business based on the number of smartphones now in the market. So the rule remains the same – if you are not dressing your window properly, the consumer can’t see your business and you are effectively eliminating your brand from that sector of the market,” Dorsett-Lynn said. The website has also been optimised for mobile shopping, which is imperative for the future of the business. “If your pricing structure is wrong on your website or the product appears as though it is not available you are unlikely to become one of the places they will visit. So it is for this reason that the website needs to be optimised so that the consumer can use our digital shop window effectively. “Five years ago, you couldn’t go to a manufacturer’s site and download all of the information you require to learn about a product. Some people even came into the store to pick up catalogues,” he said. Dorsett Retail has also recently re-introduced door counters after a few years and compared this data with previous door-counter data. Although the number of people coming into the store is lower, the retailer has doubled its conversion rate, according to Dorsett-Lynn. “Based on the metric that they have only two stores generally on their shopping list, then if you have one of these customers leave, they are generally walking over to shop from your competitor. The concept that some of your customers are merely ‘looking’ is completely floored in the current retailing environment,” he said.